You may have noticed that it’s been a while since my last post. I must apologise for the radio silence, but as you can imagine, it’s a busy time of year for me. I’m currently away visiting family in Australia which is taking up all of my time. But rest assured, I will return with more sartorial musings and news of my adventures in the new year. Meanwhile, may I take this opportunity to thank all my loyal readers for their comments and suggestions over the past year since launching the blog. 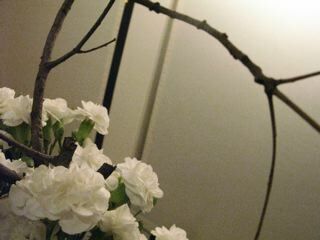 I look forward to hearing more from you (as you will from me) in 2011. A very merry Christmas and a happy New Year, one and all. Sitting one morning in the barber's chair in our Sloane Street shop, having my luxurious locks trimmed by Michael, my eye was drawn to the glass and mahogany cabinets displaying Hackett toiletries neatly laid out in smart navy and white packaging. Complimenting this captivating sight were the soaps and colognes from D.R. Harris, whose red and white boxes sat pleasingly alongside. It occurred to me then that I had been using D.R. Harris products for close to 30 years, having one day stumbled upon their establishment in the heart of St James's club land. It's been a hectic couple of weeks; I was recently in Amsterdam for the opening of a new Hackett shop, our first in The Netherlands. We have opened in a charming district, more of a residential area, a little bit like being in down town New York. On the evening of the grand opening party, I was whisked to the event in an Aston Martin and greeted by a large crowd and flashing cameras. I could get used to this. I made a short speech which I'm sure was all Double Dutch to the listening guests. To declare the shop open, a mock game of croquet had been arranged where I had to hit the ball through a hoop and into the shop. After my third attempt, the shop was declared open and the party got into full swing. 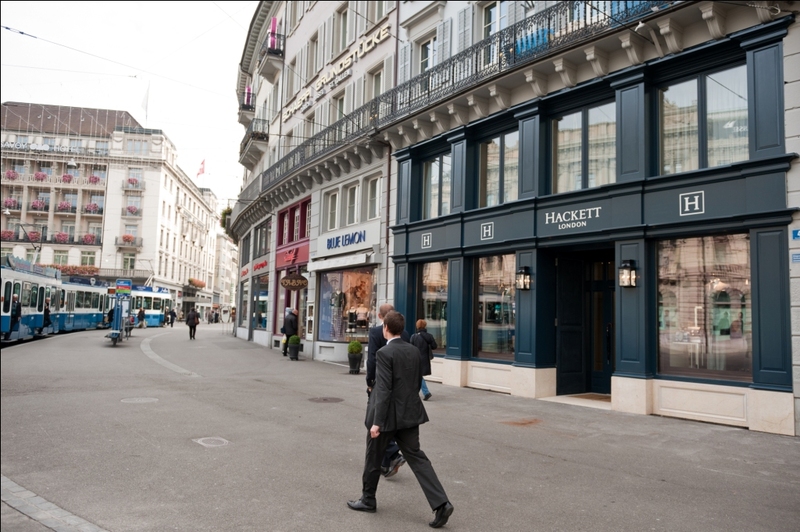 The following week, I was in Zurich for yet another Hackett store opening in Parade Platz - a very chic shopping location. Again, the Aston was laid on and our beautiful shop was jam packed with the great and good of Zurich in attendance. The champagne flowed, mostly my way. Now that it is November, I have no qualms in talking about Christmas - although talking is all I seem to do, as like most men I tend to leave it to the last minute. I often hear people say "you can't buy socks, they are so boring", but believe me I would rather receive a nice pair of socks for Christmas than some trinket that immediately goes into a cupboard, never to surface again. I was sitting on the tube the other day and was struck by how ghastly most of the socks that the business men opposite me were wearing. It was perfectly obvious that no thought had been given to their hosiery and that they had grabbed the first pair of socks available. At the time when I was selling second hand clothes, I would regularly visit Portobello Road on a Friday morning at the crack of dawn just as the stallholders were unpacking, in order to pick up the bargains. Out of black plastic bin liners would appear all sorts of goodies. One morning I spotted the edge of a velvet collar attached to a khaki coat. I pulled it out of the bag and discovered it was a covert coat. I gave it the once-over, checking for condition and general wear and tear. I immediately knew it was a bespoke coat, so I checked for a makers label, which would be sewn discreetly inside the inside breast pocket. There I found the name of the renowned Savile Row tailor – Huntsman. It cost me all of a tenner. Later back at the shop, I would sort out my haul from the market. What would need repairing, what needed to be laundered and what I would send to the dry cleaners. My customers were aware of this weekly ritual and they would often be waiting for the shop to open to see what new old kit was on offer. No sooner than I had unlocked the door, a man pounced on the Huntsman covert coat and asked how much I wanted for it? “Oh give me a hundred pounds” I replied casually, and the deal was sealed. This was the manner in which all the covert coats I found were sold - in a flash! An invitation from The Prince of Wales to attend a meeting at his country residence Highgrove was an opportunity not to be missed - even if the visit was not a social one. The meeting had been called by the Prince to discuss the perilous state of the wool industry, and what could be done to improve the situation. I have to say that it had never occurred to me that there may even be a problem. In my business, I annually buy thousands of metres of tweed, flannel and worsted material to make into men's jackets, suits and overcoats. In a passionate speech, the Prince pointed out that sheep were no longer being sheared, as the price for the raw material was so low that it made no commercial sense for the farmers. 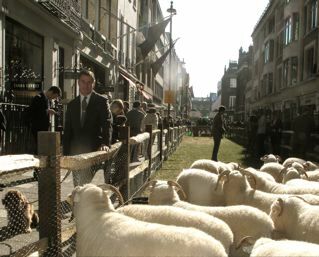 It was then that the campaign for wool was put in place, headed up by Conde Nast's MD Nicholas Coleridge. The campaign has been created to raise the awareness of this wonderful natural fibre that is not only used in clothing but for carpets, insulation and bedding too. It must have been around 1970 when I left school and home to set myself up in the attic flat of a Georgian terraced house in Old Clifton, an area of Bristol which is similar to Bath (but was a little less gracious at that time). Close by was a small boutique which sold clothes (in those days nobody spoke of brands) that came all the way from London, which of course I found very glamorous. One day when passing by, displayed in the window were a pair of Oxford bags made by Cockell and Johnson of Kensington Market fame, teamed with a hand knitted Fair Isle slipover (more commonly known as a tank top). It bared the label Jean Howell, whose sister went on to create one of our most revered English brands, Margaret Howell. 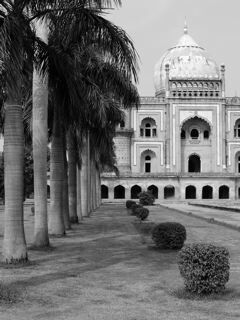 As I queued at the BA check-in for my flight to Delhi, I was handed my boarding pass. To my astonishment, I suddenly realised I had been upgraded to first class! I can only imagine that my set of Globetrotter luggage had swayed it or perhaps it was my immaculately cut Hackett men's blazer? Either way, I was thrilled to say the least. As someone who is not partial to long haul flights, I was now actually looking forward to my ten hour trip, safe in the knowledge that I would be pampered all the way - and I wasn't disappointed. I was heading to Delhi for the opening of the first Hackett shop in India in The Collective, a recently opened shopping mall that contains luxury brands from all over world, so we would be in good company. 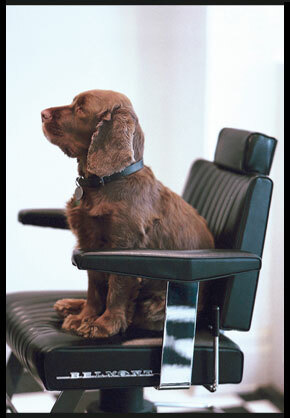 You may have noticed that over the years my two Sussex Spaniels, Charley and Browney, have featured in many of the Hackett brochures, often upstaging the models. I rescued Charley from Battersea Dogs and Cats Home some thirteen years ago and she has been a constant companion ever since. With her modelling career now over, Browney has taken to her ambassadorial role with gusto. They both appear in my book Mr Classic and have posed for many magazines, with only a Vogue cover eluding them. They are more famous than I am, damn it! Sauntering along Savile Row early one morning, I paused and gazed in the window of Henry Poole, the oldest tailor on the Row, where a large portrait of Winston Churchill clad in a chalk stripe flannel suit was displayed. It occurred to me that it was high time we re-introduced this fine material - what I like to call 'proper cloth' - to the world of designer menswear at large. Knowing that the flannel was manufactured by Fox Bros, I made an appointment to visit them and duly headed off to their ancient mill in Somerset. Faced with an alarming array of patterns from their extensive archives of over four hundred hessian bound books dating back to the 1770s, I quickly narrowed it down to a volume of classic navy chalk stripes. I still had a bewildering choice to make, with there being a dozen or more blues and all in different stripe settings. I then remembered the days when I worked in Savile Row and I would often see Tommy Nutter, the avant-garde tailor whose suits were made by mixing up cloths and patterns to create a truly individual ensemble. So, taking my cue from Tommy, and not being able to make my mind up about which stripe to select, I decided I would use three stripe settings made in the same weight and same colour navy and then incorporate them all into one suit. Passing the Oval tube station the other day, I couldn't help but notice the crowds of supporters, mostly men, making their way to the Oval cricket ground. Despite cricket joining a long list of sports that I have never played, I do like the kit. 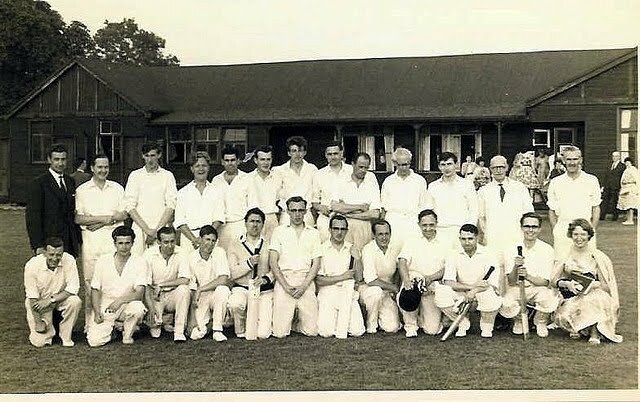 Sadly, what is worn today is far removed from when I was a child and when cricket was played on a black and white television - a time when it was mandatory to play in whites. Players wore white or cream woollen flannel trousers which were double pleated with side adjusters. Surprisingly, there is still a mill in Somerset that makes this illustrious cloth - Fox Bros in Wellington. They have manufactured flannel for centuries, and I have recently commissioned them to make Hackett a small run of this traditional cricket white material for a range in our next designer menswear Summer season. Worn with cricket flannels were hand knitted long-sleeved or sleeveless cable pullovers in ecru, with the club colours trimming the V-neck. Underneath were lightweight off-white flannel shirts. The striped three button flannel blazer was reserved for the team photograph, or worn during tea. I'm off on holiday to West Wittering in Sussex for a few days - actually it's more of a working holiday, as I'm combining it with our summer brochure photo shoot. Packing for my sojourn is easy: I just throw a few polo shirts, linen shirts, shorts and boat shoes into my well-worn canvas holdall and I'm done, adding at the last minute a waterproof jacket (because it may rain) and a couple of sweaters (because it's bound to be cold). Oh, and swimwear too, which will no doubt remain in my bag as the water will be freezing. But when it comes to packing for a business trip halfway across the world, it is a different matter entirely, as I need to take my suits, jackets, proper shoes and numerous shirts and ties with me - invariably I find that I pack too much kit. 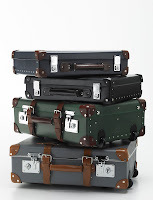 Fortunately, I own a couple of large and battered Globe-Trotter trunks which pretty much accommodate my entire wardrobe. 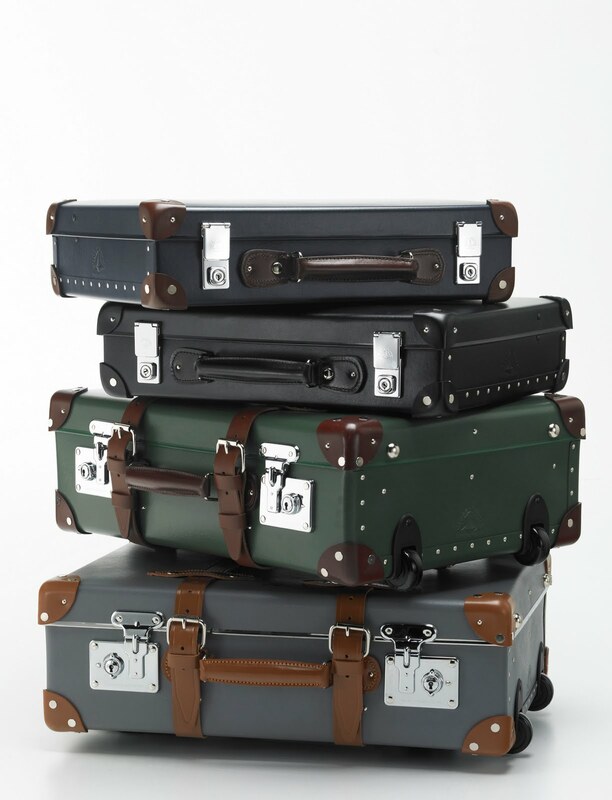 I have always admired the Globe-Trotter range as it is solid, reliable and well-made holiday luggage. The cases are constructed from a vulcanised board which is so tough it's reputed that the lid of the case can withstand the weight of an elephant's foot! It's been a long time since I visited Cowes but I have fond memories of this small coastal town on the Isle of Wight. At the time of my last visit, I was a guest of the Royal Yacht Squadron, who generously put me up at their club overlooking the sea. I felt very privileged because I wasn't a member - or ever likely to be. 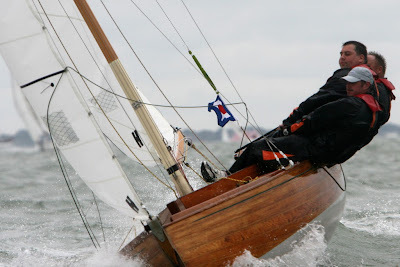 The invitation had come about because Hackett was involved in sponsorship of a sailing class of boats called Etchells which are extremely sleek, fast and manoeuvrable. Being a bit of a landlubber, I contented myself with surveying the sailing from the safety of dry land, where one yacht in particular stood out - it was the magnificent boat belonging to Donald Gosling, with its navy blue hull exuding a sense of restrained luxury. Seeing Double: The Return of the Double-Breasted Suit? In the 1980s, no man stepped out of the door to the office unless he was kitted out in a double-breasted suit. It was the status symbol of the decade and in our shops we barely sold any other style. By the 90s the popularity of the double-breasted suit had rapidly declined along with the property market and wearing one became seen as a symbol of excess. At the time I regularly wore double-breasted suits but such became their reputation that I quickly abandoned them for a more sober single-breasted 3 button style. I now feel so removed from those days that I have once again been tempted to adopt the double-breasted suit. 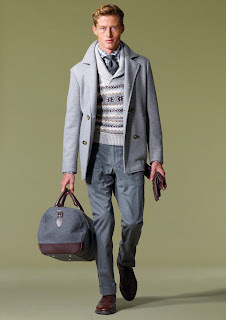 Now it is more softly tailored and more relaxed, the shoulder is narrower and the coat length shorter, somehow it looks new and fresh and distinctly smarter and I believe there is a whole generation of men who have never worn this style and therefore are unaware of its historical baggage. Skinny Tie, Kipper Tie or No Tie At All? I was recently asked what would be the fashion fabrics for ties this Autumn, well it's not so much about fabric as width, though tweed ties will be popular. I have noticed recently that when looking down at my tie it has appeared too broad so I asked my tie maker to make me something a little narrower. I'm not talking skinny, too boy band, just a subtle shift. 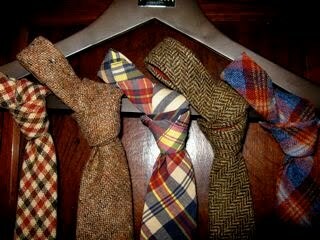 Ties have generally been going through a difficult period due to the dress down phase. Which reminds me of the time when I made a reservation for lunch at Wiltons fish restaurant in Jermyn St - a pleasingly unfashionable eatery. I was informed when making the booking that gentlemen were no longer required to wear ties - so being of a subversive nature I decided that I would of course wear one. When I arrived I noted that every man dining there had blatantly disregarded the new relaxed dress code and to a man were dressed appropriately in ties; my fish that day was more delicious than ever before. Talking of fish, many years ago I was fortunate to meet Mr Fish, the flamboyant and wildly eccentric fashion designer credited with inventing the Kipper tie. A hugely wide tie that was fashionable in the late 1960s and early 70s, a moment of optimism, which leads me to believe that the narrow tie is indicative of the times we now live in, a more austere world which requires that we dress more formally. But am I being narrow minded? Are Kipper ties are just around the corner, perhaps? One could be forgiven thinking that I spend my whole time gallivanting around from one social event to the next but it is the Summer and there is an awful lot going on, which is why last weekend I hosted The Hackett Rundle Cup, an historic Polo match played annually between the Army and the Navy an event that we have been honoured to sponsor for several years. I'm particularly fond of the striking red British Army polo shirts in which the team is kitted out - and which have been donned by Prince William and Prince Harry at previous Rundle Cup tournaments. The Rundle Cup takes place at the headquarters of the Royal Artillery based at Tidworth Garrison close to Stonehenge. It is a glorious setting and as one would expect, the Army put on a good show with white marquees erected to frame the Polo ground in regimental fashion. On the day the weather was perfect and Union flags fluttered against clear pale blue skies. A word on shirts, pockets and formalwear: when wearing a double-cuff dress shirt, remember that it should not have a pocket on the front. No evening dress shirt should have a pocket. However, it is acceptable on a button cuff shirt, which are not as formal and are therefore designed with more practical purposes in mind - pockets are useful, after all. 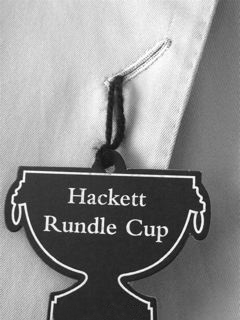 For a selection of button cuff shirts in both business and casual style, see the current selection available on the Hackett website. Last Saturday I attended an Aston Martin Concours d’Elegance in the wonderful setting of Stoke Park, where a line up of fifty Astons dating from 1929 to the present day were waiting to be judged. Stoke Park proved to be a fitting location for such a day, having also been the setting for scenes from the James Bond film ‘Goldfinger’. I was invited to be a judge by the very personable Nick Mee, whose Aston Martin garage in Hammersmith is a veritable treasure trove of pre-owned Astons that Nick kindly has lent me from time to time for Hackett photo shoots. Judging motor cars was not something I had ever done before, and to be honest I know very little about cars. Knowing that these sort of events are taken very seriously indeed, I thought I had better dress for the occasion: a khaki cotton suit, blue striped shirt and navy polka dot tie combination was donned on what proved to be a blisteringly hot day - yes, I was overdressed! I often get asked about the proper way to tie a bow tie. I would have written about this myself, but this video is quite comprehensive and illuminating. These kind chaps seem to be helping an awful lot of people with their bow tie issues, I hope you will find it useful too. If you’re on the lookout for a snappy bow tie of your very own, you can find good selection here on the Hackett website. During the summer months when the mercury rises, those of us who wear a shirt and tie for work or in our daily life have been known to suffer. Dispatching the tie is, of course, the first step you can take to cool down. But what of undoing shirt buttons? My own personal preference is to undo just the top button. I find this more than sufficient in the heat of a British summer. We are not, after all, going to experience too severe extremes of temperature. Besides, I find that more than one button gives off a faintly ‘gigolo-esque’ impression, so unless that’s the look you are going for, I’d steer clear of showing too much. There are many events in my social (and work) calender each year, but there are few I enjoy more than the Henley Royal Regatta. As a day out it’s simply fantastic, with so much to see and do. However, it’s important to make sure you dress for the occasion if you are planning on attending. 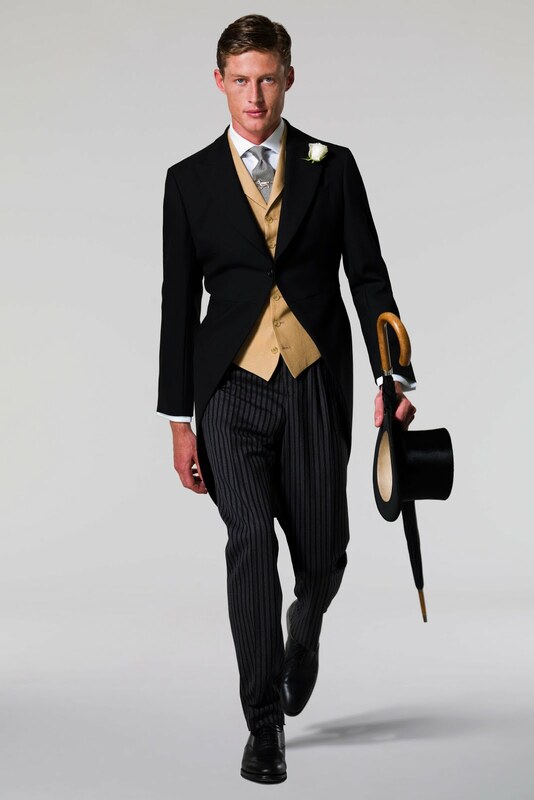 With Royal Ascot almost upon us an event where Morning Dress is de-rigeur it is the strictest of all dress codes. I am not a fan of hiring your kit for this splendid horse race, invariably the Morning Coat is too long, the trousers are too baggy or too tight and overlong and often the top hat is too large. My advice is to invest in purchasing the whole ensemble after all it won't go out of fashion: it is beyond fashion. So what you need is a black Morning Coat that fits neatly with the tails hanging to just above the back of the knee, a buff waistcoat, single or double-breasted making sure that there is no gap between waistcoat and waistband of the trousers. Whenever I go on holiday I always like to keep my wardrobe simple - partly because I hate packing. With this in mind, I thought I’d share my tips on how to choose your wardrobe for the perfect British holiday. One classic summer staple is the polo shirt: pack several plain colours such as white, navy, sky blue and also throw in a couple of nautical striped numbers for variation. Take several pairs of cotton shorts in white, khaki and that ‘classic sailing’ colour Brixham red. A good piece of advice is to bring some long sleeve cotton casual shirts and roll the sleeves up - it looks quite ‘old-fashioned British’. 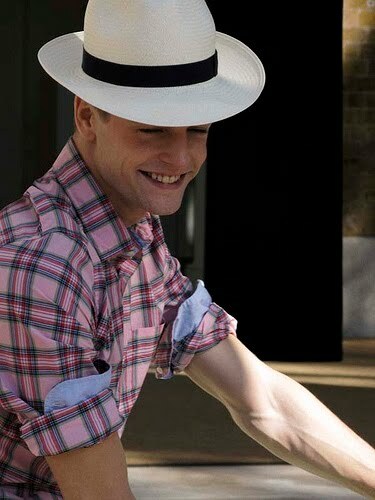 The UK's summer season is fast approaching and with it a host of events to celebrate and more importantly to dress for. It is the time when dress codes come to the fore and first up this week is the RHS Chelsea Flower Show. No one rises to the occasion better than the Brits and on the whole we relish the opportunity to make a bit of an effort. 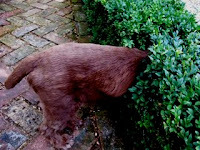 Strictly speaking, the Chelsea Flower Show has no dress code, though visitors do tend to abide by a certain style. 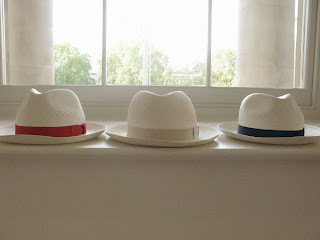 This is often a linen jacket or blazer co-ordinated with cotton trousers in colourful hues and the obligatory Panama hat* and of course a jolly brolly, because it's bound to rain. Interested as I am in all the current political upheaval I couldn't help but notice the frequent references to rolling up shirt sleeves and getting on with the job voiced by several senior politicians. I have a feeling that with the predicted austere times ahead this shirt sleeve rolling may just become a bit of a fashion statement. Not since the early 1960s have we seen this particular style, a time when our cricketers went out to bat with a healthy display of forearms. The Army has always been a strong advocate of short sleeve order; Khaki shirts folded and ironed with military precision and knife edge creases. There is something distinctly masculine and workmanlike about it, so whether you are toiling on the soil or poring over your computer, now is the time to get down to business and roll up your shirt sleeves before this fashion whim passes you by. Elbow Patches - Practical Addition or Playful Affectation? 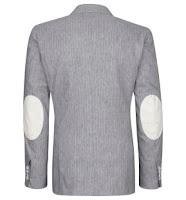 "Could you tell me whether elbow patches on a jacket are a good thing or an affectation?" It may well be a question on which many of you have pondered, so here are my thoughts on the subject. Historically, there was some purpose - when gents wore their clothes until they were threadbare, they had not only elbow patches sewn on but the cuffs of their coats were also trimmed with leather, making their favourite coat serviceable for another ten years or so. Though these days elbow patches are undoubtedly an affectation, I don’t think it is a bad thing. Today elbow patches have been applied in various ways just to add a touch of fun to what sometimes can be a rather dull jacket. When dressing, it is often far too easy to ignore the finer details. You may be wearing a very fine suit, but an entire look can be let down by sloppy attention to detail. Specifically, I’m thinking of socks. They’re such a small detail, but so important. There are a few things to think about with socks. Should one match them with the colour of the shoes, or of the trousers? Or indeed, neither? Personally, I tend to wear navy blue socks with everything, except for evening clothes when I opt for black. Aside from everything else, it makes them much easier to match once they’ve come out of the wash. I am often asked by my young friends what to wear with blazers. This is a more difficult proposition than you would think, as, unlike the suit jacket, the blazer can be worn with many different types of trouser. When wearing, say, a navy blazer, I generally opt for the khaki (or beige) trouser. However, I understand that there is something of a misconception that the younger gentleman looks somehow too conservative or - well, let’s just say it - too old in light trousers with a dark blazer. One of the biggest decisions you can make with formal attire is whether to buy it ‘off the rail’ or take the leap into the world of bespoke tailoring. There are convincing and plentiful arguments for both, so I shan’t get bogged down in the intricacies of the argument at this time. Instead, look at things from a logical viewpoint: if you rarely wear a tuxedo and you are a regular size then it possibly isn't worth having one made. On the other hand, having something made is not only going to fit better but it is likely to last longer, and as you would wear a tuxedo for special occasions you might as well look the best you can. The cream or white dinner jacket is a tricky item to negotiate. Somehow, it doesn’t seem quite so formal as the standard black or navy, and it brings with it a whole host of sartorial issues that you simply don’t get with the darker jacket. This all begs the question; when is it appropriate to wear one? I have a book at home that states you should only wear a cream dinner jacket when on a cruise, and even then only after you have reached Port Said. However, that book was written in 1936, so perhaps you should take it with a pinch of salt. I think generally, at an outdoor event in the summer would be the perfect time to wear a lighter dinner jacket. Now that the UK general election race is truly on I am in a quandary as to what tie I should be wearing throughout the proceedings, not wishing to nail my colours to the mast. Which means Red, Blue, and Yellow are temporarily out. I could of course wear a tie which combines all three colours but at present I don't have one, so I shall choose a pale lilac tie instead or possibly pale green. "Ah, what about the Green Party?" I hear you say, well it's a good bet that nobody in the Green Party would deign to wear a tie and anyway it's very British to back the underdog. What colour tie (if any) will you be wearing in the run up to the election? I am of the opinion that no single term has done more to confuse how we should dress than ‘smart / casual’. What on earth does it mean? If you were invited to a drinks and dinner function and told to dress ‘smart / casual’, what would you wear? Do you lean to the smart side or to the casual? These things were so much simpler when there was a dress code, as ‘smart / casual’ invariably ends up with half the guests turning up in suits and ties, and the other half in jeans and polo shirts. For the record, if you receive this dress code instruction, wearing some sort of blazer with a smart shirt worn open-neck with a pair of jeans would be acceptable to most people (though not, perhaps, at the Ritz). 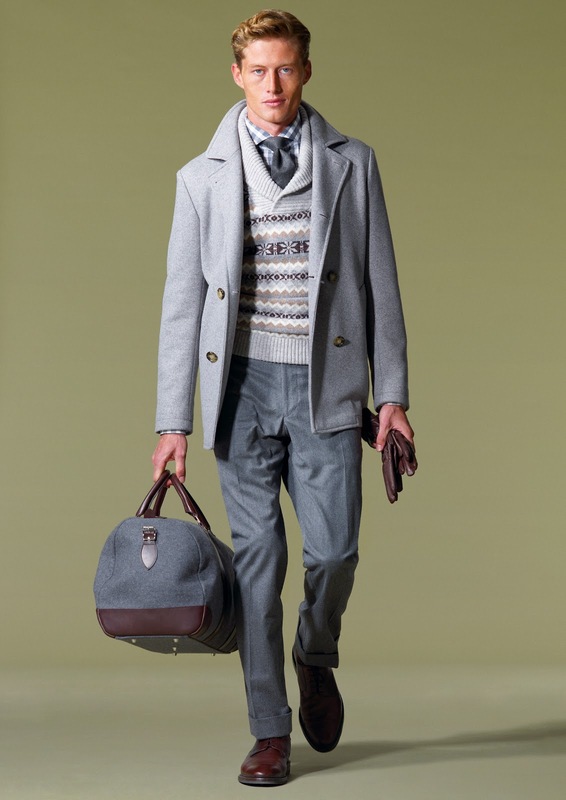 Hackett is proud to offer a range of styles, taking you all the way from ‘smart’ to ‘casual’, as and when required. Why not mix and match to get a whole new look? I was recently called upon to cite the practical and aesthetic advantages of both the adjustable waist band and common-or-garden belt loops on trousers. Having experienced people struggling with this choice in the past, I feel I can help make things a little clearer if you are faced with the same problem. Seersucker Suits - a Sign of Spring? A sure sign that spring has arrived, yesterday I spotted a Gent walking through Soho clad in a blue and white striped Seersucker suit, it made me suddenly feel dowdy in my grey pic and pic suit and determined to dig out my own Seersucker suit. Of course today it's cloudy and dull but I think I'll give it an airing anyway. If you've never donned one before, this useful article gives some practical tips on how to wear a Seersucker suit. Hackett's Seersucker suits are available from the Sloane St and Jermyn St stores in London, or in Paris, the Rue de Sevres and Boulevard des Capucines branches. Unwinding in the countryside is one of the simple pleasures in life, and it can only be improved by enjoying such rural pastimes as pheasant shooting. It harks back to a more innocent and altogether more refined age, I feel. Dressing appropriately for such a day is important, from both a practicality and style point of view. First of all, it is advisable to take a waxed jacket to protect the rest of your ensemble. I would then choose a tweed jacket in a tough material - preferably in a muted green colour with an over check - comfortable enough to shoot in. Wear a pair of moleskin plus 2s, which are both warm and comfortable. 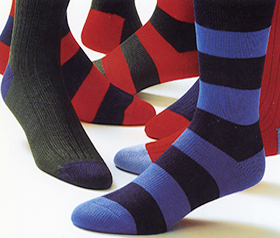 You will also need long thick shooting socks, which can be colourful if you wish. For a shirt, it's best to wear a tattersal check with a sober woollen tie and a lambs wool v-neck pullover. One last word of advice: try not to look as though you have just bought your outfit - it's always better and more ‘rustic’ if it looks a bit worn. There is an extensive range of v-neck pullovers available on Hackett’s website. Whenever I’m called upon to provide sartorial advice, it always makes me feel a little nervous when people say they are looking for something ‘out of the ordinary’. I am of the opinion that you don’t have to go for radical changes or departures to your existing style to achieve something new. Corduroy is a wonderful material that works well in a whole host of garments from trousers to jackets, especially in more casual surroundings. People say that moving house is the most stressful thing a person can do, but in my opinion job interviews come a close second. We’ve all been there, and as such we all know that it’s important to dress appropriately. Of course, ‘appropriately’ is entirely subjective and depends on the type of job you are going for. Have you ever been puzzled over formal dress nomenclature when it comes to summer weddings? If so, I would wager that the definition of ‘lounge suit’ has been the culprit. Invariably, if you’ve been instructed to don a lounge suit for such an event, it means that you should wear a plain dark two piece suit. Simple. However, if you feel like trying something a tad more contemporary, then I would suggest opting for a single breasted one- or two-button suit with plain trousers and a narrow leg. If you prefer a more traditional suit then a three-button single breasted with pleated trousers would be a good alternative, and remember: you can’t go wrong with navy blue. One of the men’s jackets from the Hackett range, for example, would be the perfect partner for any summer wedding. I’m sure, like many of you, I still have memories of being admonished at school for not having my shirt tucked in. My school masters drilled this discipline into me and as such I have always endeavoured to look as presentable as possible. Having said that, a tucked in shirt can be quite restrictive and looks rather formal. Also, it can sometimes remind me of school and those teachers who would give me a rap across the knuckles. All of this explains why I’m rather fond of shirts that can go untucked, such as rugby shirts and polo shirts. One of the sartorial questions I’m most often asked is a conundrum that has been mulled over since time immemorial: can you wear brown in town? More specifically, can brown or tan shoes such as suede brogues or boots be paired with a suit when in the City? 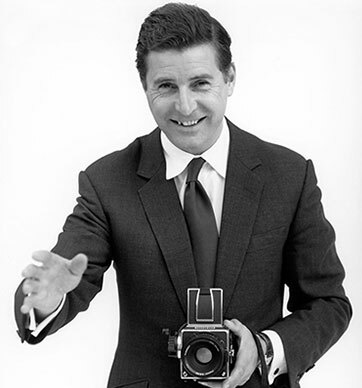 For those of you who don’t already know me, my name is Jeremy Hackett and I’m the founder of designer menswear house Hackett London. I’m very excited to be entering the world of blogging and hope that you’re pleased to have me. Here I’ll be answering the questions relating to gentlemen’s style that I am so frequently asked, giving commentary on the sartorial issues of the day and generally offering my general musings around subjects that take my fancy (though, most likely, it will have something to do with clothes). I’ll be aiming to write something every week or so, on topics ranging from how to tie a bow tie to what to wear to the Henley Regatta. What I’m most looking forward to is the interactive element that a blog affords. When I wrote my book, Mr Classic, the conversation was entirely one-way, so hopefully with this blog you too will have something to contribute. 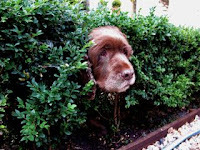 Of course, if you have any burning questions, don’t hesitate to send them my way - I’d be delighted to help.